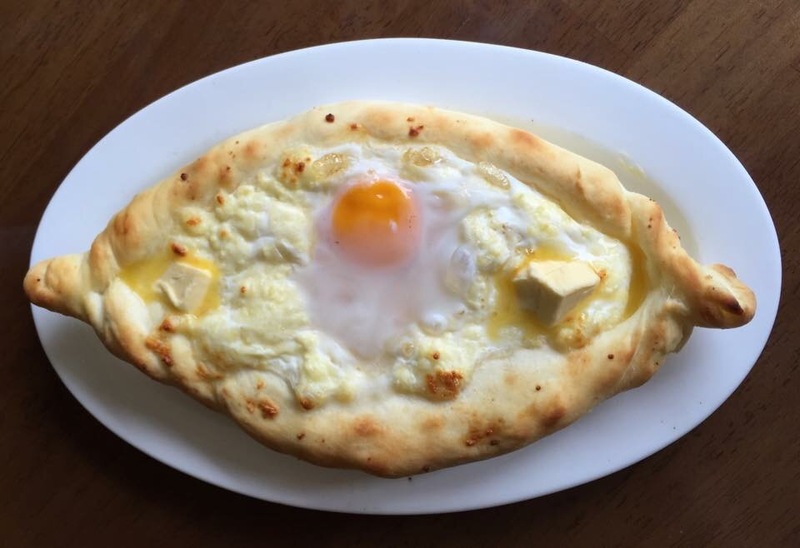 When traveling in Georgia, you must try traditional Georgian food. Here are my top five favorites after exploring the country for two weeks. 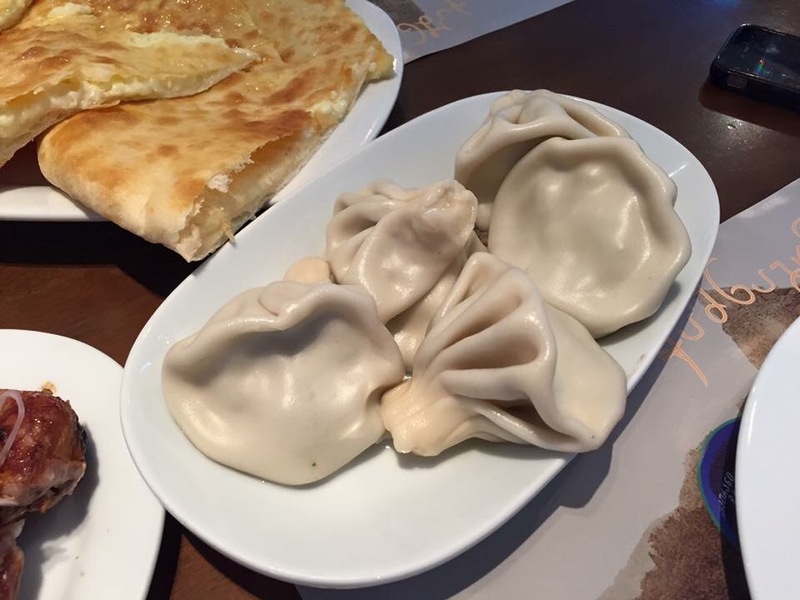 I dedicated a whole blog post to this delicious Georgian dumpling. It’s fun to eat and tastes delicious. Bite a small hole into the dumpling’s thick skin, slurp out the soup, enjoy the minced meat filling and repeat. How many do you think you can eat? I’m on a boat – a cheesy, gooey bread boat! When you’re starving and need a quick snack, churchkhela always saves the day. 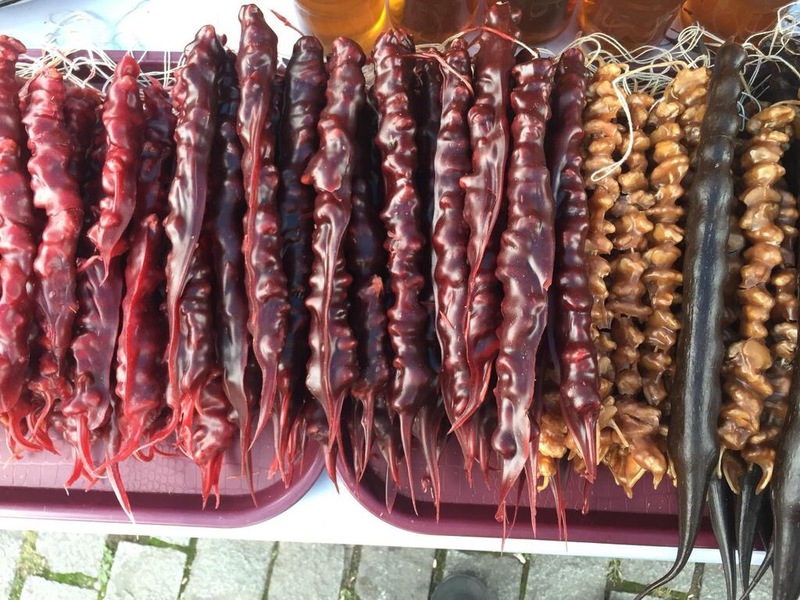 This “Georgian Snickers” is a traditional candy originating from the Caucasus region. It is a very popular food, combining two of Georgia’s favorites – grapes and nuts. I totally fell in love with this dish while traveling in Georgia. Badrijani nigvzit is a perfect appetizer, which consists of eggplants stuffed with a garlic-walnut filling. The eggplants are first browned in an oiled skillet and then set aside to cool. A delicious filling of crushed walnuts, garlic, vinegar, cilantro and other herbs is spread on one side of the eggplants, and then rolled up to enclose the filling inside. 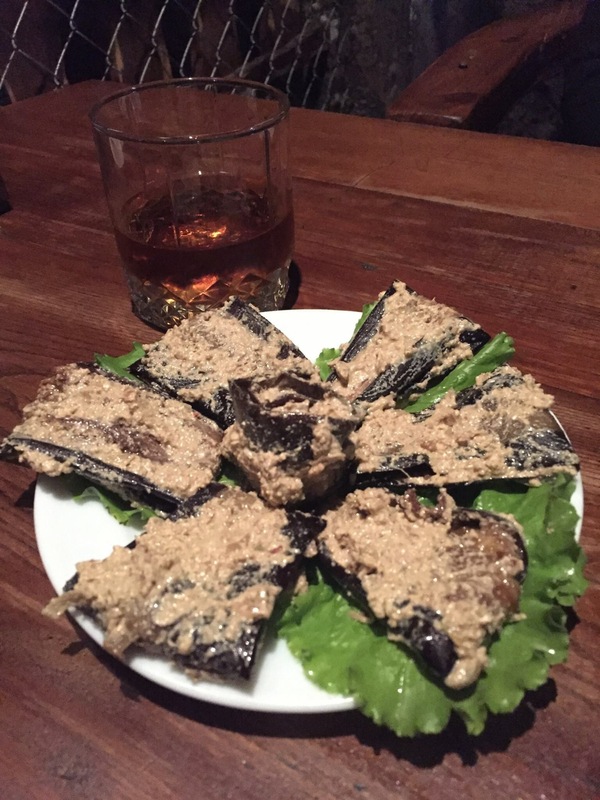 This dish is served chilled and is the perfect start to a traditional Georgian meal. Georgian food consists of many delicious barbecued meats. My favorite meat dish was at a restaurant in Kutaisi. 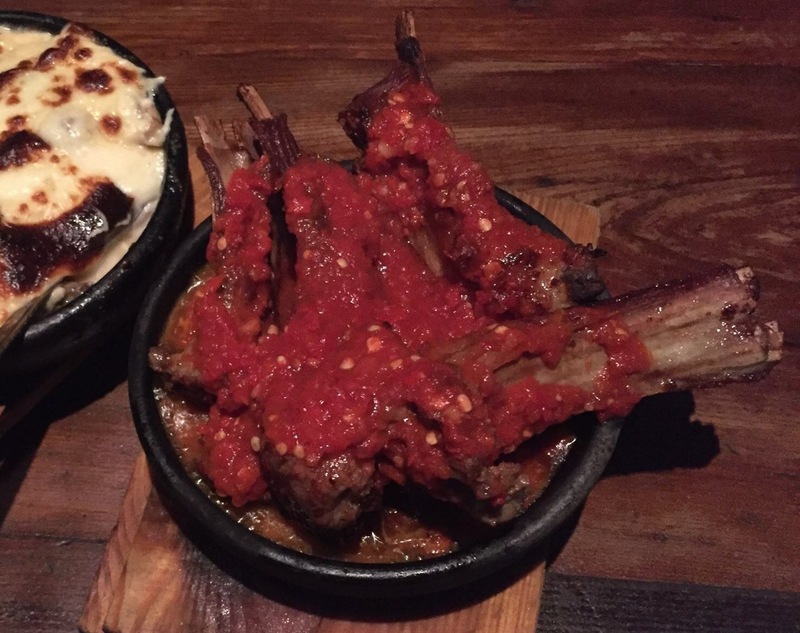 The dish included veal ribs that were smothered in a spicy tomato sauce. This sauce is commonly found throughout Georgia and served with barbecued meats.